Gaku Takahashi is a boxer from Yokohama, Kanagawa, Japan. Bob and Blossom Uyeda brought him to our summer picnic. Paul Abe and I and about 12 others from J-town came out to support him. He was victorious with a TKO in the second round. His opponent did not continue to the 3rd round. If ample time is given, I would like to plan this as a Kanagawa event. Takashi Hoshizaki is a board member of Nanka Kanagawa Kenjinkai. 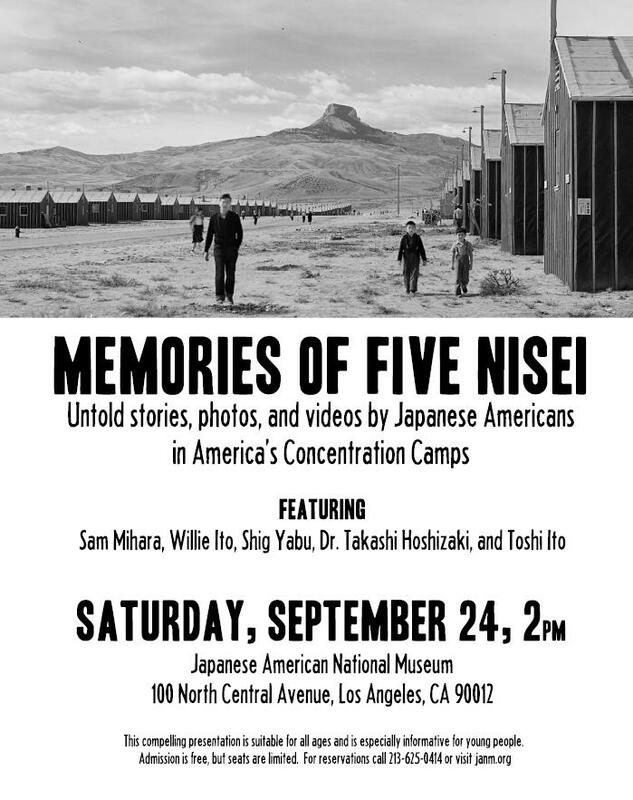 Tak was one of the five Nisei’s to share their relocation experience. He is active in the Heart Mountain Reunion Committee. You missed a great presentation from the five panelist. Tak went to prison rather than serve in the armed services while behind barbed wire. Dr. Takashi Hoshizaki one of the featured speakers is a board member of Nanka Kanagawa Kenjinkai. He is the son of my grandfather’s brother. Takashi Hoshizaki was one of the 63 Resisters of Conscience at Heart Mountain who resisted the draft in 1944 to contest the lawfulness of internment and spent two years in a federal penitentiary as a result. He later served two years in the U.S. Army Medical Corps. Mr. Hoshizaki earned his doctorate from UCLA in 1961 and worked on various NASA projects until his retirement in 1989. Most recently, he helped in the development and building of the Heart Mountain Interpretive Learning Center. Presently, he serves as a Board member for Kanagawa Kenjin Kai; Friends of Heart Mountain; and Heart Mountain Wyoming Foundation.